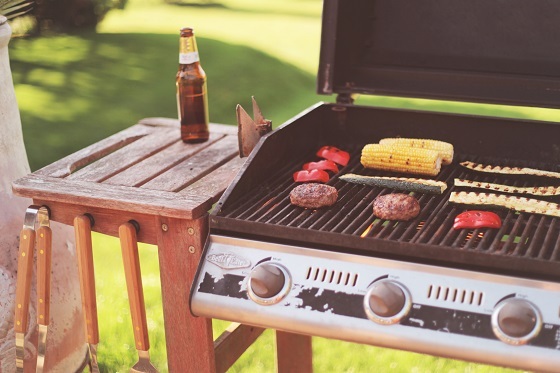 It's official – the sun is out, the birds are singing and the smell of barbecue is in the air. It's time to get that grill fired up! Here's a great idea for organising your cooking utensils. Easy to hang and easy to grab – they won't get dirty and they won't get damaged! Watch this video and add a little practical DIY razzmatazz to your grill skills. How are you going to make your mark amongst the legion of grill gourmets? Gas or charcoal, Weber or Landmann – whatever your stove, this neat DIY gem will really get people talking. Creating a magnetic holder for your utensils is easy. And Sugru is great at sticking to awkward surfaces – your wooden bench, your metal grill, your brick wall or your plastic utensils – so you can store your cooking 'arsenal' anywhere whilst you grill! 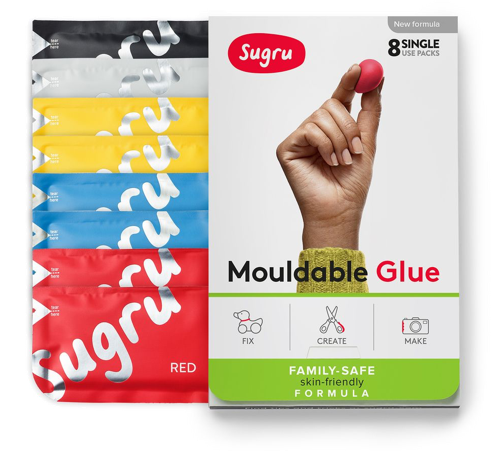 Step 1 – Open a packet and divide the Sugru into 2. Roll each piece into a ball. 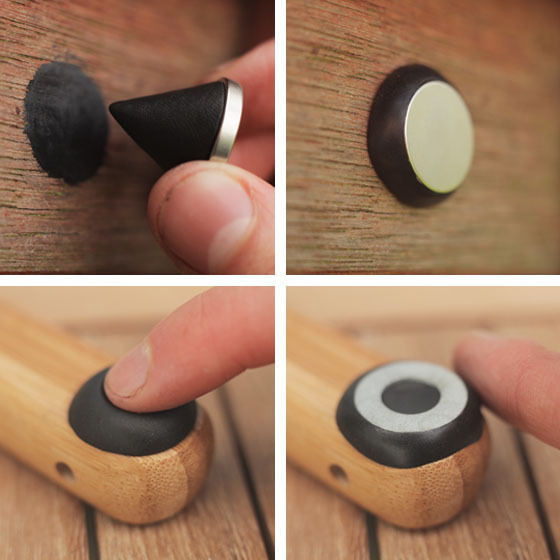 Step 2 – Stick one piece to your magnet and another to your utensil. Step 3 – Stick your magnet where you want to store your utensils. Add a magnetic washer to the Sugru on your utensil. 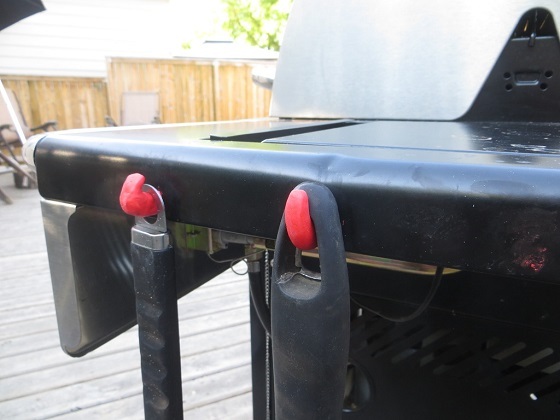 24 hours later, your magnetic holders will be ready and you'll be the boss of the BBQ! Tip: it's a good idea to take a pinch at the beginning and form a base layer to establish a strong bond. Picture this, sitting outdoors with a drink at dusk, surrounded by the soft glow of string lights gently swaying in the breeze as the evening creeps its way to darkness. Does this sound like one of those unforgettable holiday moments, one that you recall from time to time and would love to relive? Keep the celebration going into the night! Now that Spring has arrived, how about recreating that holiday feeling in your own garden? Cheap string lights could be the missing ingredient to help transform your space into a calm oasis that you will relish sitting in. Andy and his wife love listening to music while they're doing the gardening. "My wife and I live on the bleeding edge of technology rainbow ;) — take our music situation... Spotify on the iPad; iPad in the garden and JamBox amidst the tomato plants, billowing out playlists as we Instagram ourselves high-fiving one another. Fancy. But something was missing. 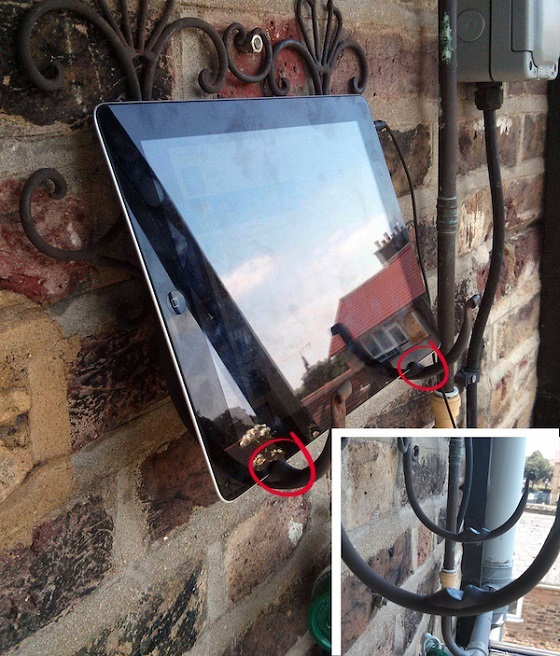 We didn't have anywhere groovy (and secure) to put the iPad." If magnets get all up in your grill (see what we did there? ), you could take a leaf out of Conor's book and create utensil hooks instead? Sugru hooks are super easy to make, you can stick them to most surfaces and they're weatherproof so they won't rust like regular hooks. For more ideas and inspiration for your next project, head on over to our outdoor celebrations page and get stuck in! Quick and easy solution to mount lighter fittings. Great for renters!